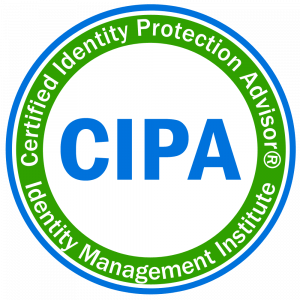 To become a CIPA, candidates must be members of Identity Management Institute and pass an examination. If you are not currently a member, you can apply for membership as you apply for certification. You can learn more details about the certification process below or click here for the CIPA application. Take a short practice test to learn more about the final exam questions, discover your identity theft management knowledge level, and receive explanations for the answers. Take the short practice exam now. Leading identity theft blog and newsletter for consumers and employees. Identity theft affects businesses and their customers. By employing CIPA professionals who can educate, guide, and support customers, businesses will be able to prevent or quickly detect and resolve identity theft in order to lower their identity fraud losses, offer value added benefits, attract new customers, and ensure the loyalty of existing customers. Professionals who help consumers manage identity theft risks with their services and products should consider the CIPA training course and be recognized as certified identity theft advisors. Specifically, individuals who might benefit from the CIPA designation include employees of financial services, insurance, health care, social media and identity protection companies as well as organizations such as various government agencies and consumer information or credit bureaus. Students entering the workforce and service providers can also benefit by becoming a CIPA to gain competitive edge within their respective professional fields. Such professionals include tax preparers, office organizers, accountants, attorneys, notaries, credit and debt counselors, fraud investigators, law enforcement members, and anyone who can help prevent, detect, investigate and resolve identity theft cases. In essence, CIPA is a customer centric identity theft management training and certification program which is designed for service providers and employees who can assist their customers prevent, detect and recover from identity theft. Identity theft is an evolving and increasing threat worldwide. As the number of people affected by identity theft and related fraud costs continues to rise, Certified Identity Protection Advisor professionals are increasingly needed to help consumers address identity theft challenges. The CIPA program will educate candidates about the latest identity theft risks and key controls. Therefore, many professionals who are well positioned to help consumers prevent, detect or resolve identity theft, can benefit from the CIPA program by increasing their knowledge, gaining the trust of their employers and customers, as well as validating and showcasing their identity theft management skills. Businesses which are concerned with the negative consequences of identity theft such as lost customers and revenues, reduced profits, and negative business image will in general benefit by employing CIPAs to assist their customers. Please view the list of our member companies and corporate sponsors. To learn more about the CIPA Critical Risk Domains, please download the CIPA program overview document. 1) Become an IMI member, 2) Apply for CIPA, 3) use the included study guide to prepare for the exam, 4) take and pass the exam. The online exam includes 100 multiple-choice questions. You must correctly answer at least 70 questions to pass. Registered candidates can schedule the exam for up to 3 times at no additional charge which can be taken on any day and from anywhere on desktop computers or mobile devices with Internet access. Take the short practice exam to learn more. A study guide will be provided to registered members and a video course is available to complement the training efforts of CIPA candidates. Register today to receive 2 FREE video courses: CIPA Training and Credit Report Review and Error Correction Guide. After you submit your membership and/or CIPA certification application, we will process them and send you an invoice. Upon payment processing, you will receive the CIPA study guide by e-mail and you will have one year to study and take the exam. When you are ready to take the exam, simply let IMI know and the test link along with the pass code will be sent to you. As the test questions and pass codes change regularly, IMI sends the test information when requested, but you must complete the test within a year of your paid exam application and within 24 hours upon receiving the exam information. Click here for the CIPA exam application. The CIPA application cost including study guide and exam is $295 for current members. All CIPA candidates must be IMI members. If you are not yet a member of Identity Management Institute®, learn more about membership and group discounts. IMI uses PayPal and other third party payment processors to request and process credit card payments after applications are received. Alternatively, candidates may also send a check.